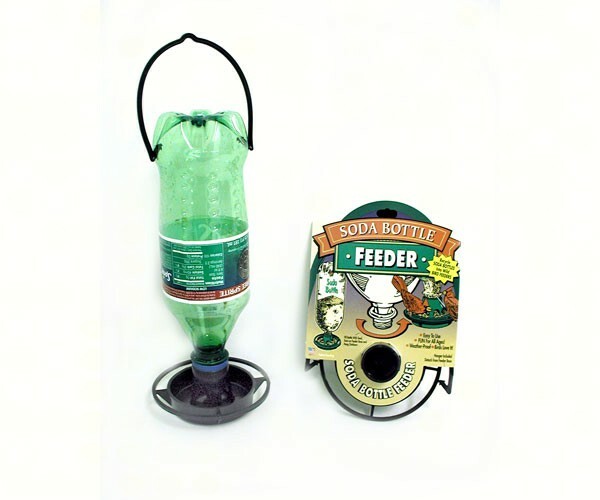 The Gadjit Soda Bottle bird feeder is an easy to install bottle feeder that does not require any tools to assemble. The base is constructed for birds to lounge on the edge and dine at the troph. The Gadjit Soda Bottle feeder will surely attract a lot of birds. 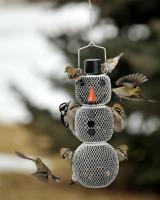 Just attach this to a soda bottle and fill the bottle with seeds and it is ready for birds. 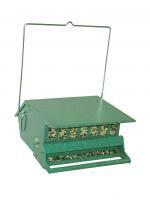 This bird feeder includes a hanger and base for you to mount easily. I have used this product for years and love it. We are in the southwest and have many dove. 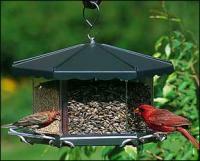 They try to claim all feeders,however, by clipping off the plastic perches, they are unable to land. But don't worry, they get plenty from the groud. This is a great product!